DO I HAVE TO BE RIGHT, OR DO I WANT TO BE HAPPY? I was thinking back to a time, some years ago, when I was involved in a dialogue with some Evangelical Christian folks. As is often the case, the encounters began with an approach in an attempt to “save” me. This sort of thing used to really bother me. Eventually I came to realize that, unlike some lesser species such as TV evangelists, most Evangelicals are simply trying to do me a favor. They believe in their hearts that my soul is doomed, and they want to help. Viewed that way, it’s hard to remain insulted or angry. Annoyed is, of course, a different matter. Buddhists don’t proselytize, and most of us agree that it is wrong to attack someone’s belief system. When one takes the risk of dismantling the structure that supports another emotionally, it is cruelty of the highest order to have nothing the person will be able to digest as a replacement. Effective conversions occur over long periods, gently, and it is not my business to make them happen. My usual response to such advances is to decline as politely as possible under the circumstances, and to do so firmly enough that it sticks. Given the desire to treat others with lovingkindness, that can be a tricky process. In that case, however, I decided to engage rather than not, and it was a valuable lesson to me about both human nature and missionaries. Those of you who have experienced such things know that the usual approach is a gentle attack. Generally, one is asked to explain one’s own beliefs, which are then related to contradictory “proof” from the scriptures of choice. Carried out skillfully, such an approach can be devastating, especially if the target happens to hold many beliefs that more or less with the doctrine being advanced. That makes it hard to disagree categorically, regardless of your opinion of the underlying dogma. 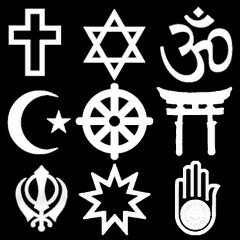 However, Buddhism does not conflict with Christianity in its basic teachings, although some Buddhist sects might. These folks were prepared to hear the misunderstandings (Buddhists worship Buddha) that they were equipped to refute, and instead heard an explanation of the Buddha‘s teachings (simplify, question, examine reality, be nice to other folks, understand the relative lack of importance of worldly things) with which they found it impossible to take exception. Once we had a basis for discussion, the adversarial relationship disappeared and the conversation became quite productive. We moved on to a comparison of Siddhartha‘s and Jesus’ teachings, their purpose (reduction of suffering) and so forth. Although I am agnostic, I didn’t argue theology with them. I simply listened, and failed to disagree. I had later conversations with those folks, recommended some books they could read, and one of them showed interest in learning meditation techniques. I’ve no idea if he followed up on that. So OK, you’re thinking, what’s my point? Just this: On how many interesting relationships have I missed out by labeling others as — other? How much common ground have I missed because of my inability to hear what others were really saying? When I think of people with prejudices, how much of the judging is mine? How interested am I, really, in learning more about the world and the people in it — eEnough to keep my mouth shut, listen, and then find something I can agree with, rather than automatically disagreeing with those — others? How important is it for me to be right, rather than happy? Some days I seem to be improving in those areas. Others, not so much. How are you doing? This entry was posted in Hate, Living, Philosophy, Psychology, Religion and tagged Buddha, buddhism, Christianity, Jesus, Religion and Spirituality on May 27, 2012 by Bill. I subscribe to the “would you rather be right than happy” theory and try my level best to enforce or live it as often as possible. The religion thing is another deal. My kid is a Baptist Preacher and he makes it pretty difficult at times, his way or NO way and that rigid stance often drives me up the wall. Too much of this PC crap floating around these days and that I not only find disturbing, but irritating at the same time. Least that is my take on it. Another good post Bill. That and “Live and let live” work well for me — oh, maybe 75% of the time. Must be rough to handle that situation. Can’t just shut the door in their faces. Fortunately, both of mine inherited my “Try to live a good life and let the chips fall where they may” gene. It has led to some lively discussions. And you are (once again) right, it often is hard to maintain my composure. Many of my family are devout Catholics, and others are devout fundamentalists. We have a mutual non-aggression pact. I’m sure they worry about me. I don’t worry about them, because I consider religion to be a supportive and useful thing in the lives of believers. I tried for many years to fit myself into that mold; it didn’t work, but I sometimes envy them the comfort they get from it. On the other hand, I enjoy my relationship with my reality, and have found that the anxiety about the hereafter has completely disappeared since I admitted to myself that I didn’t believe in it. We could go on and on about the psychology of religion and religious, but there’s really no point, and I don’t want to upset the trolls. It’s too much trouble deleting the rants. Thank you, you speak with wisdom in regards to respect. It is much needed in the world today. I’m afraid we’re stuck with dualism, though, and as long as we have that there will always be “us” and “them.” Thing is, we have to figure out a way to work with it, because it isn’t going away and it’s killing us.